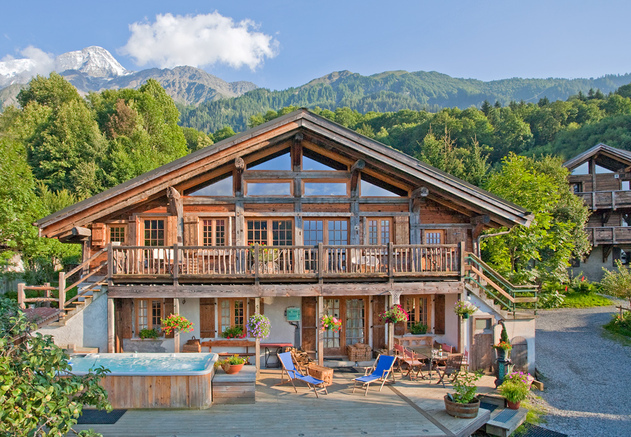 Chalet Mimi – Luxury Ski Chalet – Chamonix Ski Chalet with 6m hot tub! 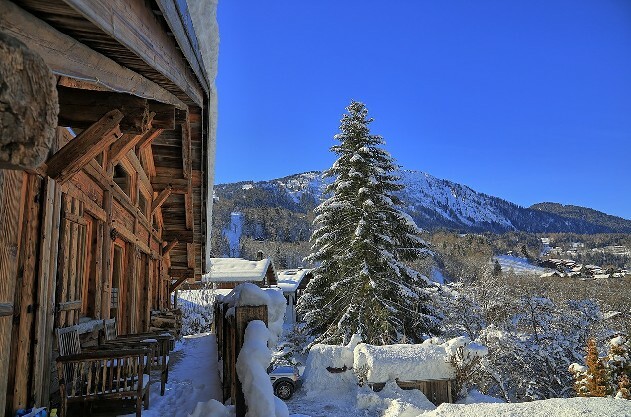 A rare find in the Alps, this superbly restored property dating from 1781 offers the discerning skier a wonderful mountain lodge whilst also offering an impressive array of eco credentials to satisfy even the most environmentally conscious amongst us. 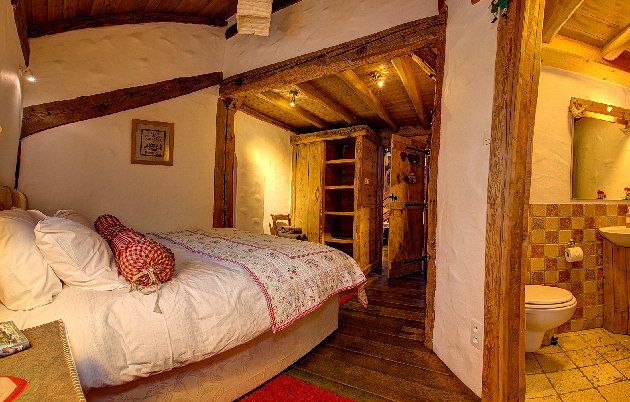 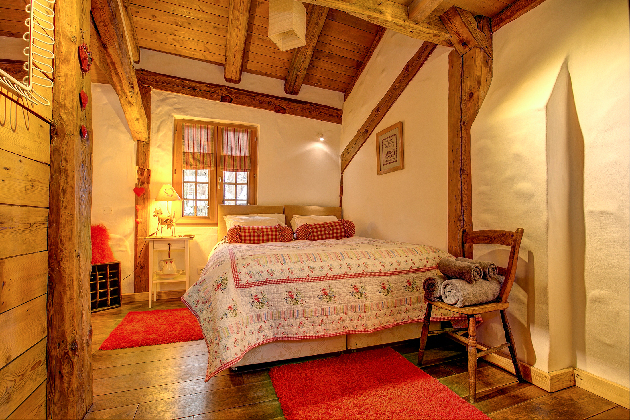 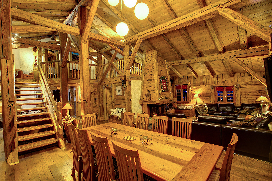 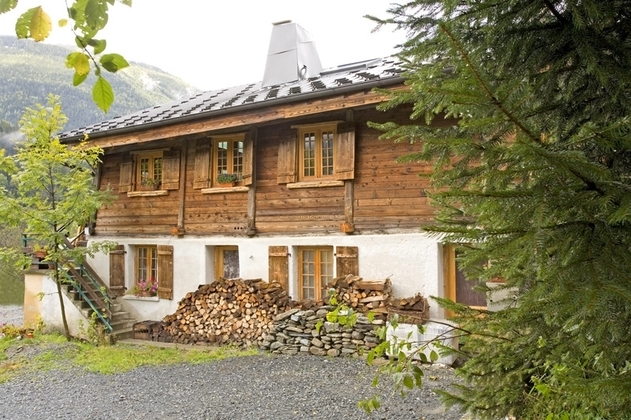 Finished to a very high standard, chalet Mimi can be counted as one of only a handful of authentic farmhouses in the Chamonix valley available for rental. 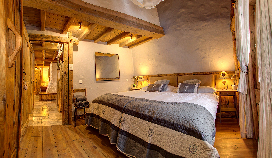 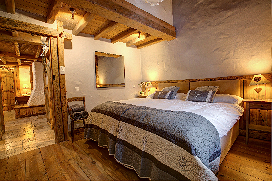 Located in the charming village of Les Houches, just a couples of minutes walk to the Bellevue ski lifts, with several delightful restaurants, local Boulangerie and shops nearby and only a short drive from Chamonix town and the other ski areas of the Chamonix valley. 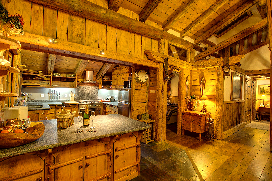 Our chalet has not just been re-built but hand-crafted. 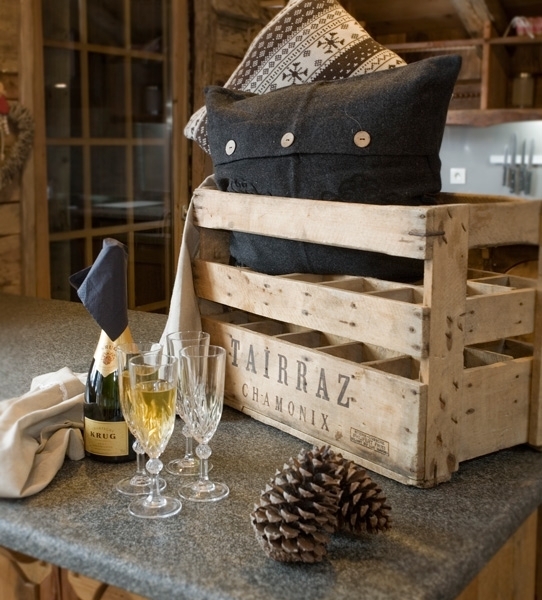 We've used reclaimed wood and the original panels throughout and have used grey Italian slate and granite in the kitchen. 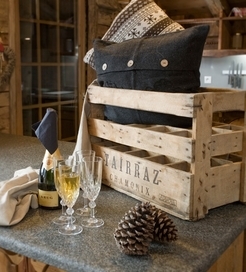 Some of the furniture is hand built or sourced from local Antique shops! 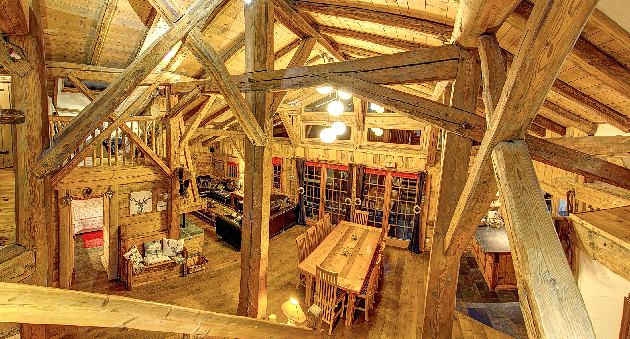 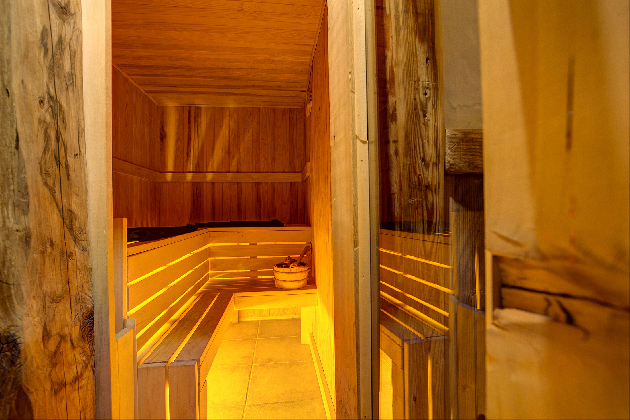 For comfort we have installed under-floor geothermic heating throughout, overlaid with solid oak flooring. 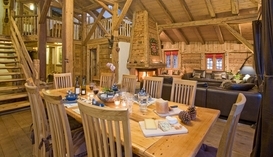 The main living area is open plan and double aspect, with the roof structure exposed. 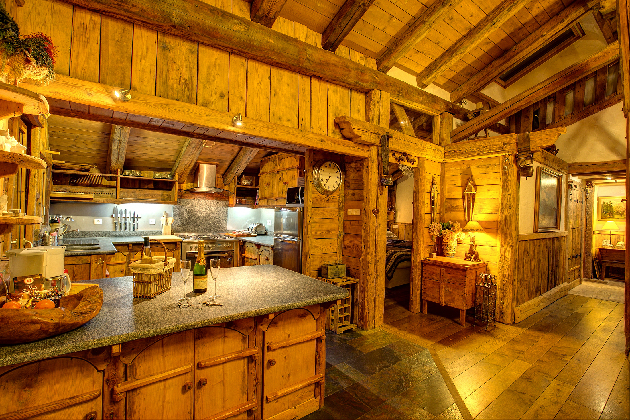 Enormous Velux windows let the day light flood in. 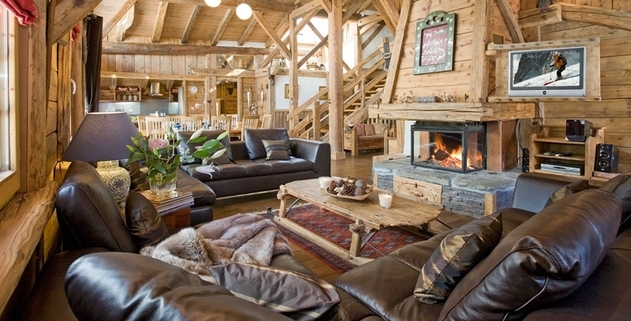 Our luxurious Italian leather sofa's offer comfy seating around the fireplace and our dining area with an impressive hand-made dining table and oak chairs is perfect for 10 guests. 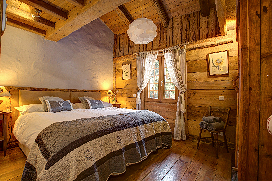 Our bedrooms have been equipped with supremely comfortable hotel standard Superking and Kingsize zip lock divan beds (which make excellent twins) and we have supplied crisp white Organic Egyptian bed linen and goose feather duvets making the bedrooms warm and cosy. 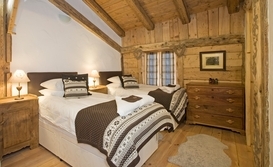 We have some apartments next door offering flexible accommodation formula's especially for groups seeking single rooms. 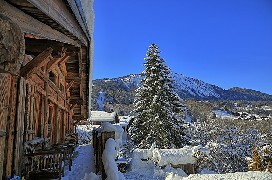 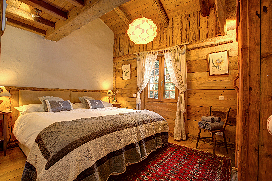 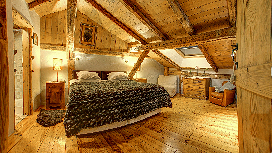 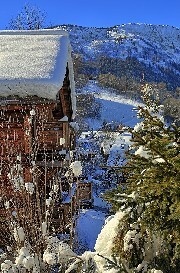 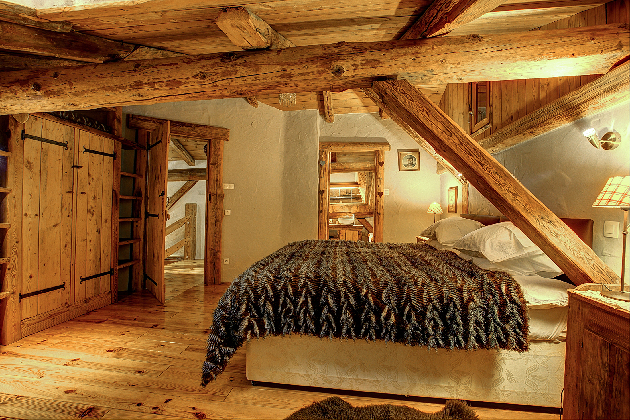 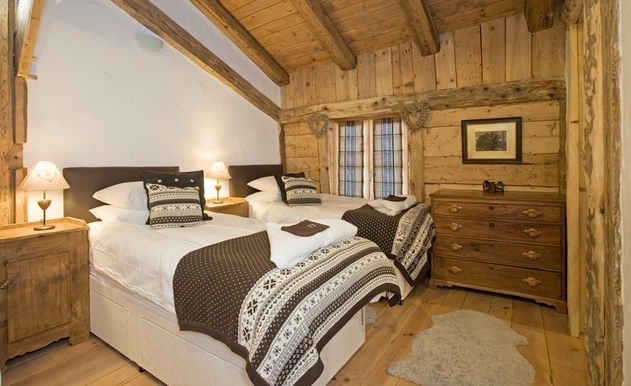 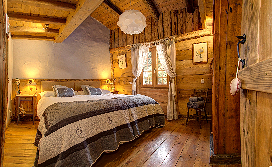 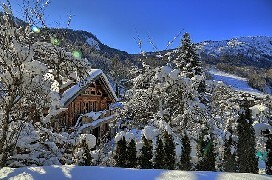 Click for Prices and Availability for Chalet Mimi now. 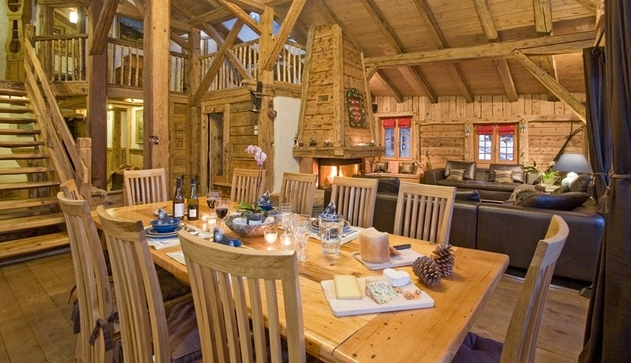 Call +44 (0) 845 460 0606 for details! 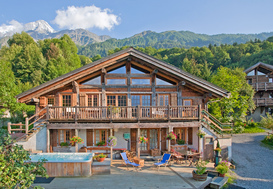 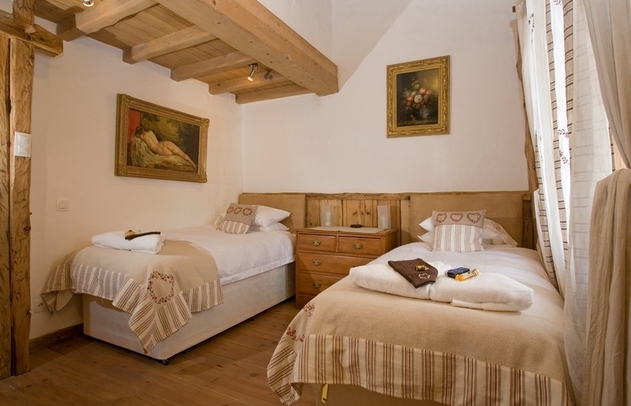 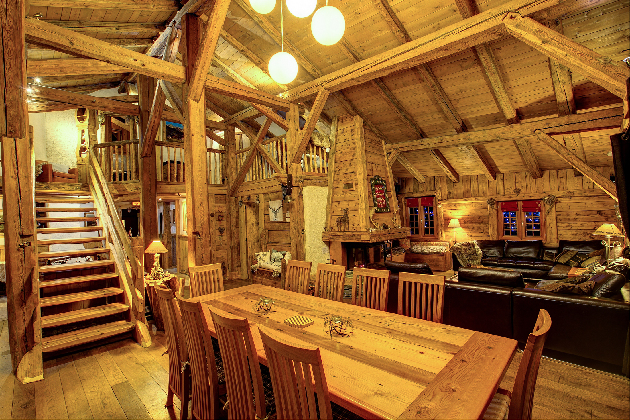 Chalet Mini remains as one of the few authentic farmhouses available for rental, making it the ideal accommodation for those looking to enjoy their ski holidays in a classic environment. 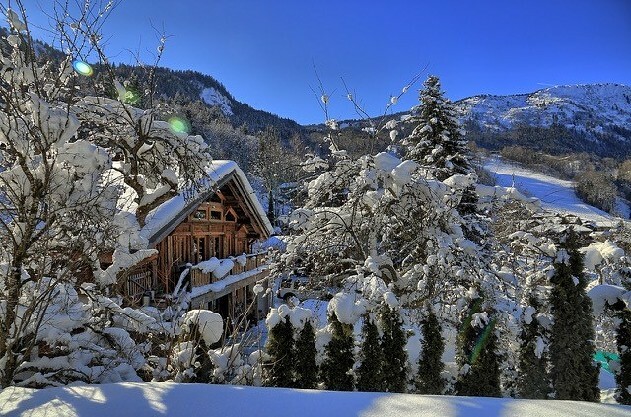 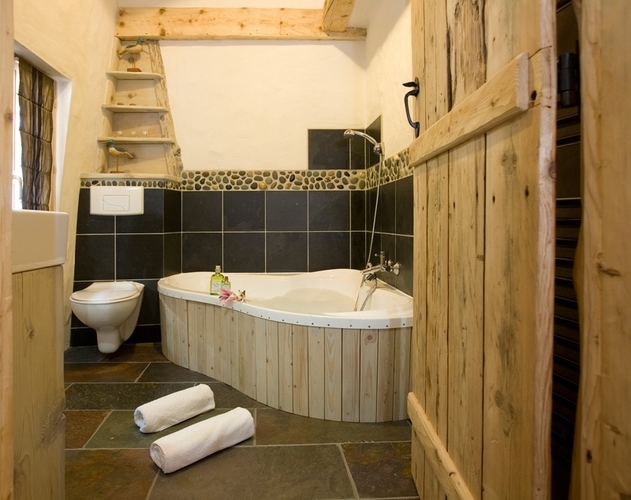 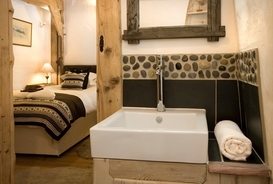 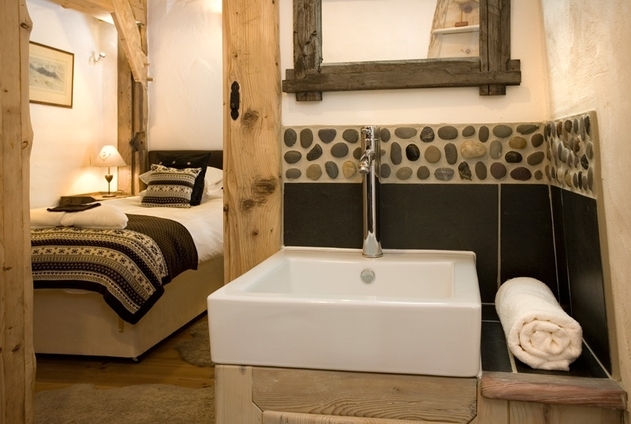 Re-built and hand-crafted, this luxury catered or self-catered ski chalet includes 5 ensuite bedrooms, a superb hot tub, sauna, music system, WIFI, satellite TV, DVD and many more facilities.